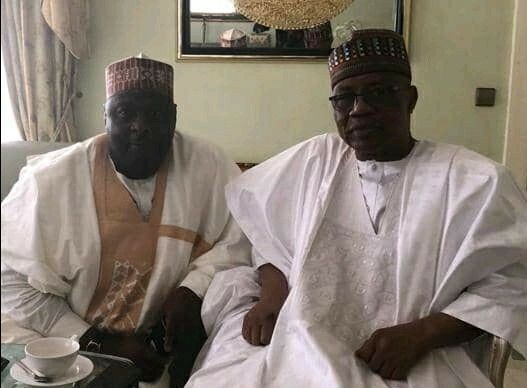 AS political alliances and consultations ahead the 2019 elections heightened, governorship candidate of People’s Democratic Party (PDP) in Kaduna State, Isa Muhammed Ashiru paid a visit to former Head of State, General Ibrahim Badamosi Babangida to seek his blessings ahead open campaigns. The PDP governirship candidate and his running mate, Barr. Sunday Marshall Katung had paid the former leader a visit in his hill-top residence in Minna, Niger state in furtherance of their political silent campaigns. The visit which was contained in a statement by the Media Office, Rt. Hon. Isa Mohammed Ashiru Campaign Organization saw IBB describing Ashiru as a grounded politician and leader, who has the requisite experience and capacity to take Kaduna State to the next level. The governorship candidate was also quoted to have told the former Head of State that, they were at his residence to seek his fatherly advise and prayers as he goes into the electioneering campaigns. “He shared with the former Head if State his desire to ensure unity, security and peaceful CO existence in Kaduna State. “He pledged his desire to treat citizens of Kaduna State with dignity and respect without prejudice to tribe and religion if elected as governor of the State come 2019”, his campaign team added.